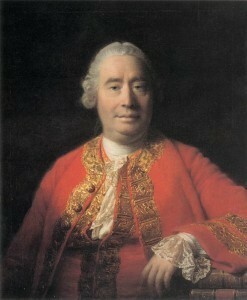 In summary, David Hume criticized the dogmatic rationalism of the seventeenth century and brought the principle of causality in the subjective opinion. His criticism will pave the way for Kant and a new way to philosophize. David Hume is empiricist in his view, human knowledge is derived, as a whole, of sensory experience (experience is the key word of this great figure of the eighteenth century English). – The ideas, which represent, in Hume, pictures driving impressions. Impressions and ideas follow one another relentlessly, in me, combine and associate themselves, by virtue of their similarity or contiguity. The whole psychic life can be explained by the association of ideas, a sort of attraction existing in the world of spirit: it designates this property that representations be called, or evoked by train each other, without any intervention of the will. All operations were due to the mental game of association of ideas. 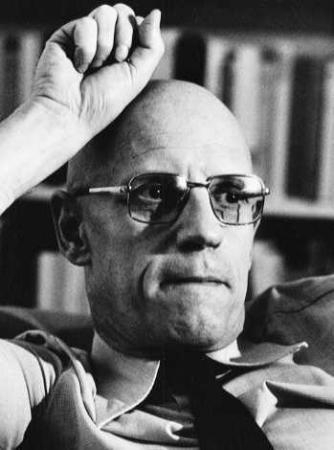 In Hume’s philosophy, even the idea of ​​causality, so important for science and metaphysics, is reduced to an ordinary association of ideas. If I say that a rise in air pressure causes rainfall (effect), what is the meaning of this statement? – I associate two ideas based on habit. – Thus, the question refers only, in Hume, a “constant antecedent,” fruit of the association and habit. Reading Hume profoundly shook Kant. Troubled by this skeptical empiricism, Kant will forge a new method: Hume took me out of my “dogmatic slumber” that will be the cry of Kant in the Prolegomena to any future metaphysics that will want to present it as science.